For all 3 pairs I've owned they were left on at all times without any issues whatsoever. My Monster Power Center HDP-1800 has certain plug ins that turn off. You could look into something like that? I would be careful with this. Klipsch disabled it because it couldn't pass Quality Control. Therefore you could be running the risk of failure of the product if you enable the feature. 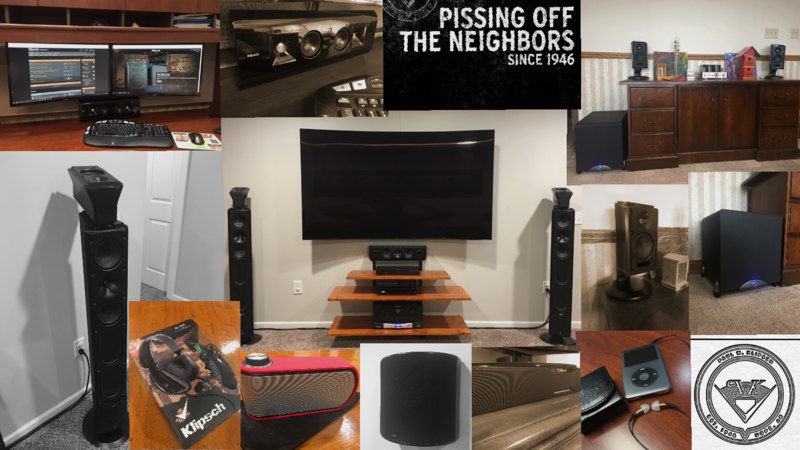 Klipsch disabled it for a reason. I wouldn't want to find out why they did it personally. wasn't planning on it but I'm willing hear what you have? To pair with my XF-48s right!? Never had the pleasure of meeting him in person either, however we did some buy/sell transactions together and he was always great to work with. I would consider myself a regular here, I just don't post near as much as most of the other regulars. I am on the forum daily, sometimes several times, and read most of the threads and posts. I always enjoyed Boxx's posts. He definitely had a way with his words and never seemed to belittle anyone. Not that all of the other regulars do, however several tend to be a little more aggressive with their post as if they are marking their territory as rulers of the Klipsch Forum. Boxx was always kind, polite, and funny. His profile pic suited him very well. Bump for a great pair of speakers in great condition!